Thanksgiving is known for being the busiest travel day of the year in the US and the day where we loosen our pants just a little to make room for a hearty feast. We gather with family and friends, carve turkey, and mash potatoes, and enjoy the Macy’s parade from the comfort of our homes (or among those gathered in New York!). Thanksgiving is a holiday to celebrate all that we are thankful for and the day looks a little different in every home. Here are some favorite Thanksgiving traditions from our office and throughout the US – and some wacky ones, too! There are certain dishes that are commonly served at Thanksgiving. The turkey is the main dish, which is why Thanksgiving is also called “Turkey Day.” Other traditional foods are stuffing, gravy, sweet potatoes, mashed potatoes, cranberry sauce…and who can forget the pie for dessert?! Classic Thanksgiving pies include pumpkin, pecan, and apple. The food preparation can be an all-day affair and many families are sure to include everyone in preparing the feast! What about some unusual food traditions? 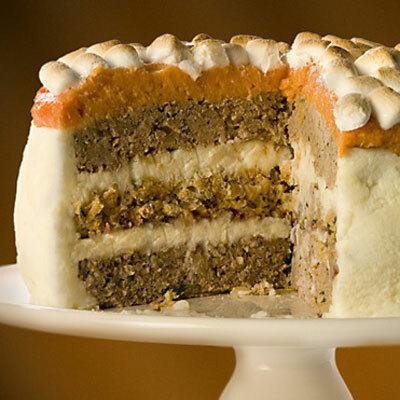 For side dishes there’s Coke Salad, oyster casserole, stuffed celery, relish plate, and Thanksgiving Turkey Cake. For the turkey-haters out there (they do exist!) there’s Peking Duck, Lobster, General Tso’s Chicken, and Tofurky. – Themed Thanksgiving dinners like Pie Fest with only pies for dinner: turkey pot pie, quiche, fish pie, pork pie, and don’t forget the desserts! – Pasta and Meatballs: Diane, Starr’s Executive Assistant, comes from a large Italian family so every Thanksgiving starts with an Italian meal followed by a traditional turkey dinner. Her family has been having Thanksgiving in her parents’ home for the past 60 years; even after her mother passed away her father insisted on carrying on the tradition. – Edible crafts with the kids: Dawn, one of Starr’s Tour Coordinators, does an edible craft with her niece and nephew every year. This year they’re making Oreo Turkeys. 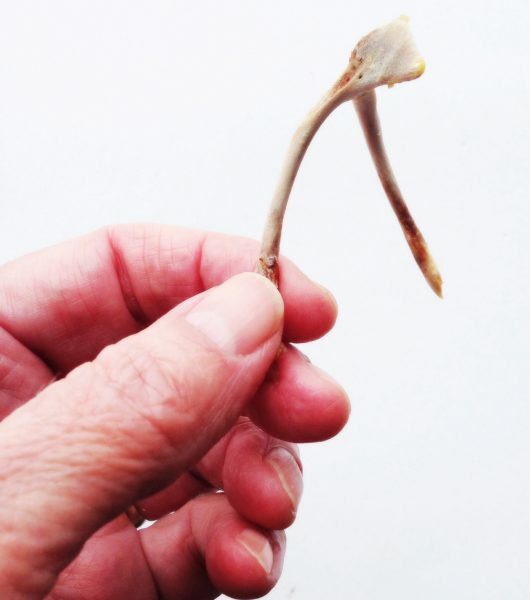 Some families break the wishbone from the turkey on Thanksgiving. It’s fun and celebratory! Two people each take an end of the wishbone and make a wish before they pull. Whoever gets the larger part of the bone “gets” their wish! Many families will gather around to watch the Macy’s Thanksgiving Day Parade on TV. With its large inflatables, exciting performers, and marching bands it is the biggest parade on Thanksgiving day and it always ends with a sleigh ride from Santa himself. Lucille, one of Starr’s Charter Representatives, follows Thanksgiving dinner with the family gathered around the TV to watch the Dallas Cowboys football game. – A “thankful” pumpkin. This is a newer tradition but is one that I, personally, am hoping to bring to my family. Everyone takes a sharpie and writes what they are thankful for on a pumpkin. The pumpkin is then displayed throughout the day. It’s a great reminder of all that we have to be thankful for. – A Thanksgiving tablecloth. Everyone signs the tablecloth with their name and something they are thankful for that year along with the date. Some families even embroider each person’s writing after Thanksgiving to keep the memories going year after year. – A Thanksgiving tree. Throughout the year, or even just on Thanksgiving Day, each member of the family takes a cut out paper leaf and writes what they are thankful for before placing it in a box. Then, sometime on Thanksgiving Day, the leaves are taken out and read aloud before being placed on a cutout tree which is then laminated and kept as a decoration for the following year. 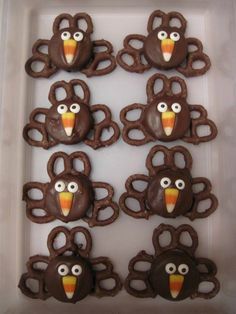 You can also do a similar idea with a cut out turkey and feathers. – Thanksgiving buns. Slips of paper are given out and each person writes what they are thankful for on the piece of paper. The slips are then baked into the rolls (roll-up crescent rolls work great) and the messages are read aloud during dinner. Many families play board games, watch old home videos, or go for walks. In my family, we always go to the movie theater to see our first Christmas movie together. It’s a great way to break in the new season! Some families pull out old family videos and watch them after dinner. Randi, one of Starr’s Travel Advisors, shares that her brother and sister-in-law rent out the local movie theater one day in November each year and show the movie, Elf. The cost of admission to the movie is a blanket. Each Thanksgiving Day, they take the blankets they’ve collected to their local shelter and spend some time with the people there before joining their family for dinner. No matter what life brings, the beauty of Thanksgiving is that it is a special time to celebrate life with family and friends. Each gathering is unique and every Thanksgiving holds the potential to create memories you’ll remember for the rest of your life. What are some Thanksgiving traditions that you share with your loved ones? Are there any new ones that you’re hoping to start? Leave us a comment and let us know! 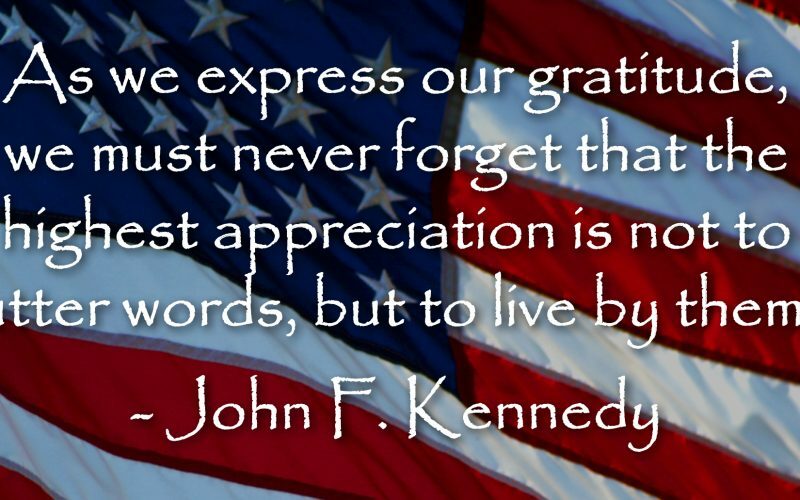 November 11th is a time to show support and gratitude for our military veterans. This year, consider taking action beyond the simple “thank you” post on social media to offer support on a deeper level. Here are three ways to support our veterans. Find one that speaks to you and take action this month. Disabled American Veterans – DAV is a nonprofit charity that provides a lifetime of support for veterans of all generations and their families by assisting veterans with benefit claims, connecting them with meaningful employment, and providing other resources to ensure they have the opportunity to participate in the American Dream their sacrifices have made possible. Iraq and Afghanistan Vets of America – IAVA provides valuable resources and empowers veterans to connect with one another, fostering a strong and lasting community. Fisher House Foundation – FHF is best known for a network of comfort homes where military and veterans’ families can stay at no cost while a loved one is receiving treatment. The American Legion – is the nation’s largest wartime veterans service organization, committed to mentoring youth and sponsorship of wholesome programs in our communities, advocating patriotism and honor, promoting strong national security, and continued devotion to our fellow service members and veterans. The Veterans of Foreign Wars – fosters camaraderie among United States veterans of overseas conflicts, serves our veterans, the military and our communities, and advocates on behalf of all veterans. Serve: If you can’t donate money, donate your time. Just as our veterans have served our country, be of service in your local community. Volunteer your time to support your local veterans. The DAV offers a wide range of opportunities for individuals who want to make good on the commitment we’ve given our nation’s heroes. Volunteer your time to better your community. All For Good and Volunteer Match offer ways to find volunteer opportunities. Our veterans deserve our care and our compassion. This November, reach out to support them. Do you have more suggestions? Share them in our comments section. Exercise your right to vote – at the polls and with Starr! It’s important to note that at Starr, we often link Customer Feedback and Booking Patterns to VOTING. Now you know! 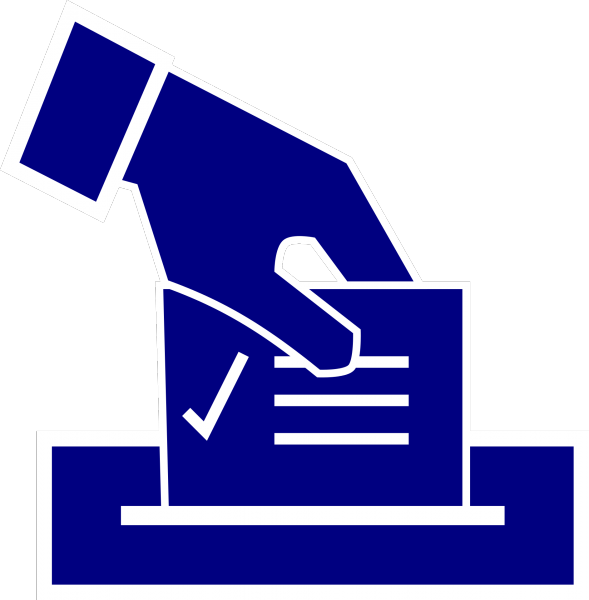 OK, so you don’t go to the polls when you VOTE with Starr, but your interactions with our services are similar to votes cast for or against features we offer. Book your trip early. This gives us an early indicator of which tours have the potential to sell well so we can add inventory accordingly. For example, this May we are doing our first ever bus trip to the Kentucky Derby. The package sold so fast that we added a 2nd bus and now we have 2 sold out buses going to see the most anticipated event of the horse racing season! Plus, we’re already planning to run this trip again in 2018! So when you book a trip “out of the gate” (pun intended), you give a “vote” to that trip which signals us to double check that our inventory is sufficient. Choose your Departure Point wisely. Of course you want the location that is closer to your home but sometimes the perfect location isn’t available. So you may have to go with your second choice. But be smart, pick the location that puts you in the path of the trip so you don’t have to backtrack. Every time you select a Departure Point you give a “Vote” so we can make decisions for the future. Spread the word. Tours that have sold well have the best potential to be offered again in the future. So every time you take a trip with Starr, you place a VOTE for that trip so that in the future, other people can experience the same great trip you did! Along those same lines, if you don’t book a trip (and lots of people don’t book that trip either), that trip is less likely to be offered the following year. When you return from a great trip, tell others about it and share your experiences with us via social media to inspire other people to book! Better yet, Refer-a-Friend to Starr! When you refer-a-friend, your name is entered into our Monthly Sweepstakes for a $250 gift card to Starr! Also, your friend receives a $25 Starr gift card to put toward their first trip and when they come home, you get a $25 Starr gift card for your next trip! It literally pays to refer your friends to Starr! Fill out your commenExercise your right to vote – at the polls and with Starrt sheets. You know those surveys that you fill out at the end of your trip? Votes! Votes! Votes! You are telling us what you liked and what you think can be improved in the future. We read ALL of your feedback and interpret your VOTES as we make decisions for the future. Your comments help us offer the best tours possible! There’s even a space on your comment sheets for you to “cast a vote” with ideas for a future trip! So, what’s the lesson here?? 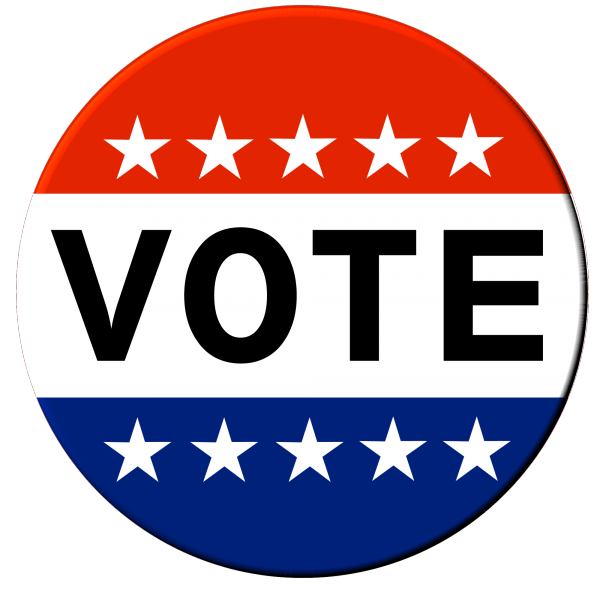 EXERCISE YOUR RIGHT TO VOTE! Not only at the polls but also with Starr!